My nephew wakes up, 7 years old, hair a mess and optimistic about his day, he is the sweetest child in the world. He asks me what day it is, wrongly guessing that today is Tuesday. I correct him and tell him today is Wednesday. Wednesday is visitation contact day. For my nephew’s parents to contact me, their son’s legal guardian and aunt, about setting up a plan for visitation over the coming weekend. His parents’ alternate weekends and so he gets mixed up about who is coming to see him next. Over the holidays, I found out his father was arrested for possession and paraphernalia a month prior. When I asked him about what he was in possession of he admitted to me it was Meth. Instantly I was furious. He’s been out of prison all of 3 months and he’s still taking chances. He has no legal visitation rights as he was in prison during the guardianship process. He was to put himself on calendar with the judge to set up visitation but never did. I had been kind and allowed him visits at my discretion. At my discretion now, I will not allow my nephew to be around an active user. When that sweet 7-year-old child asked when he would have his visit with dad, I had to pick my words carefully. I’ve never had to explain this to him, and I don’t want him knowing too much and the knowledge upsetting him. I believe honesty is the right way to go, but how much is too much honesty at seven? The same words come out of my mouth when I tried to gently explain his parents addictions at age 5, “They are sick, they need to get help but until they are better, you are going to be living with us, we love you so much and we’ll always be here for you”. Now two years later, he’s older and he has been watching. He is the most aware 7 year old I’ve ever met. He listens and absorbs, his compassion and empathy is unbelievable. Last year we lost another family member to addiction. We had just celebrated the birth of her first child and she was barely 21. Three weeks after her son was born, she had succumbed to an overdose. When my nephew heard about her passing, the first words out of his mouth were, “What about her baby?” He knows what its like to feel alone, he lost so much when he was 5. We’re still picking up the pieces and guiding him into a happy, normal childhood. So what do you say when the old excuses don’t work? How much do you tell them? What kind of reactions should you prepare for? Unfortunately I can’t give you all the answers, but I can help guide your responses. I know I’ve got a lot more questions coming my way in the future. Timing. To me it’s the most important thing. When my nephew’s grandma passed a week after he had been with us, I was not prepared to share that will him. His mother had run off and his father was sitting in a cell, awaiting the 16 month judgment he received less than a month later. We decided not to tell him right away and waited until it was closer to her memorial service. He took it well at the moment, but we have had tearful outburst happen, as that’s just how he decided to process it. 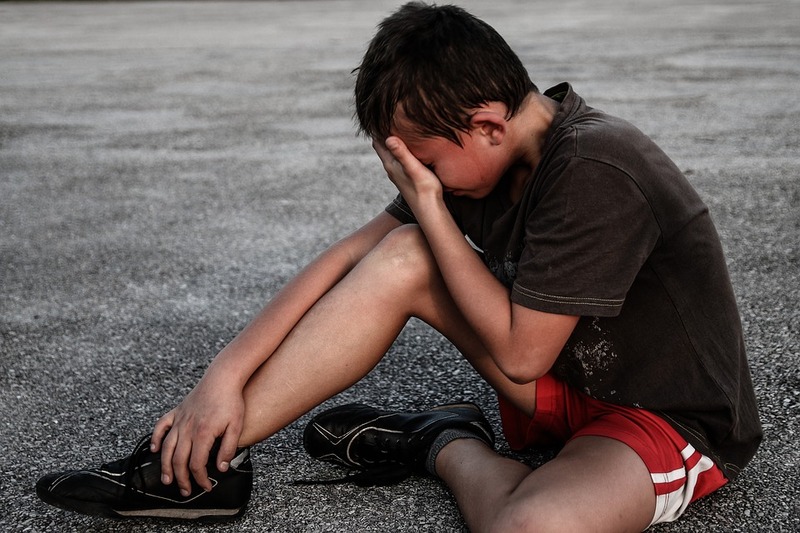 When telling a child about a painful reality, you need to be aware of the other events going on in your child’s life. Sometimes putting it off can help cushion the blow of hurtful news. Making sure your child is in an even temperament can help keep the emotions from going too far south too quickly. Make sure the distractions are limited. Be educated. Knowing what your talking about can make the conversation run smoother. You are the adult and your child is looking to you for knowledge. If you don’t have the answer, say that you will help them find the answer together. Tell the Truth. Explain that addiction is a disease caused by a number of factors, including genetics, environment and past trauma. Similar to people with diabetes and heart disease, their parent is sick and needs treatment to feel better. Of course using different terminology to explain to a child. Children can usually tell when you are lying. Keep it age appropriate. Children don’t need to be loaded up with heavy details to understand why things have happened this way. Break the issues down as simply and directly as possible, and finish with a message of hope. Acknowledgement. This is another one that is super important to me. When you’re a kid you can feel like your feelings don’t matter. Most everything is completely out of your control as a minor. Make sure to take time to validate the child’s experience with their parent’s addiction. Apologize for the effect it has had on them and ask open questions to find out how they’ve been feeling about it. Perspective. I know sometimes kids can feel envious of other families without addiction issues. Its important to let your child feel like they are not alone. Depending on their age there may be an Al-Ateen meeting that they can attend. I am currently looking for a place that young children can go and participate in. Releasing the shame. Some children can feel that they are at fault for their parents use. Maybe if they cleaned their room or played quieter, they wouldn’t be looking for an escape. This is especially hard if the addict had blamed the child in the past. Addiction is not their fault. It is important to make that clear to them. Addiction takes over the brain and makes them powerless to stop it, just as the child is as well. I’m still learning how to handle these things. I myself struggle with boundary issues and have to make sure my nephew’s protection is number one. I cannot allow myself to be too involved in his parents choices, because it drags us all down. We are a happy, healthy family unit and I intend to keep it that way. I myself will be attending my first Al-Anon meeting with the support of my brother in law in the morning. I’m looking forward to hearing some real experiences and learning how to teach myself to let go and not enable. I wish you luck with your own personal experience and hope your child is able to process and heal from their traumas.